Orlando International Airport (MCO) receives a high percentage of international visitors each year thanks to the draw of the city’s famous theme parks. Due to Orlando’s popularity with foreigners, the Orlando International Airport was chosen as the first airport in the nation to automate the I-94 form. 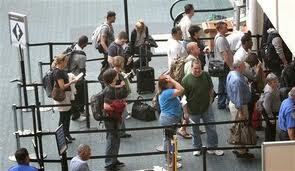 The I-94 is the form issued by Customs and Border Protection (CBP) for foreign visitors arriving by sea or air. The form acts as an arrival and departure record and is typically attached to the visitor’s visa. An automated electronic I-94 form will be implemented at the Orlando International Airport starting on April 30th. This change in the arrival and departure procedures at the airport are intended to streamline the documentation process and reduce the waiting time for foreign visitors by 20 seconds. Instead of filling out a physical form, border protection agents will scan passports to create a digital record. Foreign passports will still be stamped upon arrival and at departure. Orlando International Airport has experienced 4 consecutive years of increased foreign arrivals and this switch to an automated I-94 form is intended to increase the airport’s customer service level. Visitors still requiring a copy of their I-94 form for their own documentation purposes can access it online and print it from the CBP website. According to CBP, Orlando is just the beginning of a nationwide effort to automate the I-94. The weeks following April 30th will see major airports across the country follow in Orlando’s footsteps.